If you are interested in chartering a yacht on the French Riviera, understanding the costs involved can sometimes be confusing. The 2 key things to consider are the base charter fee and what you will have to pay in addition. Your French Riviera charter planner will be able to give you an accurate estimate of all the costs involved but to start with, here is an in-depth look at the pricing of a French Riviera yacht charter. This should help you estimate the cost of your next French Riviera yachting vacation. Both the VAT and the APA are calculated based on the charter fee – they represent a percentage of the charter fee. Delivery/re-delivery fees may apply if you ask to embark/disembark in a port that is not the homeport of the yacht. If the cruising distance is short, the delivery/re-delivery fees may be directly deduced from the APA account. The charter fee is a fixed price determined by the yacht owner and the central agent representing the vessel. What factors impact the charter fee? Of course, the yacht is the key factor in determining the charter fee, but it is far from being only about size. Within the same size range there are dozens of variables affecting the charter fee such as how recent the yacht is, the reputation of the shipyard, the number and calibre of the crew, the yacht overall condition, the charter history or the features and equipment on board e.g. water toys. Can dates influence the charter fee? The charter fee may also fluctuate depending on the period of your French Riviera yacht rental. Some yachts have high and low season rates. Obviously, the charter fee tends to be higher and less negotiable in the summer peak season as there is much more demand. Chartering outside peak season can be very interesting, with a near-perfect weather and far less crowds. The months of May, June, September and October offer fantastic cruising conditions in the south of France. The charter fee includes in particular the use of the yacht, with all her equipment in working order, and the employment of her crew. How is the charter fee calculated? Charter fees are set per week. However, a French Riviera yacht rental can last for any duration under or over 7 days – in the summer note that some Owners do not accept charters of less than 7 days. Charters of less than 7 days are calculated pro-rata against the weekly charter fee divided by 6 and multiplied by the number of days. Charters over 7 days are calculated pro-rata against the weekly charter fee divided by 7 and multiplied by the number of days. VAT is commonly charged on the charter fee when cruising European territorial waters. Rates differ considerably depending on the embarkation port and the cruising itinerary. Your charter planner will provide information on the latest tax situation for a French Riviera yacht charter or in any other country. How is the VAT calculated for a French Riviera yacht charter? For any yacht charter starting in a port on the French Riviera and therefore in French territorial waters, the VAT will apply at a rate of 20% calculated on the charter fee. However, if the final cruising itinerary includes cruising in international waters, the VAT will only apply on 50% of the charter fee - resulting in a 10% VAT rate. Depending on your cruising itinerary, your charter planner will advise on the applicable rate. Typically, the APA covers all the expenses that are not included in the charter fee such as fuel, food, drinks, port fees… (see details below). The APA is calculated based on the charter fee and paid by the Charterer prior to the charter – usually 1 month before. The money from the APA is then transferred to the yacht so the Captain can provision and fuel the yacht before your embarkation. Clearly, the amount spent on operating expenses depends to a large extent on your specific requirements: your cruising itinerary, your preferences in terms of food and drinks, your call to spend the night in a port or at anchor (not possible on smaller vessels) … The final expenditure is known at the end of the charter but you can ask the Captain for an up-to-date summary of the accounts at any time. How is the APA calculated? The APA is usually calculated at 30% of the charter fee. However, in some cases, the percentage may increase to 40%. For a day charter, if the itinerary involves a lot of cruising, we will calculate a 40% APA to avoid any bad surprise at the end of the day. Similarly, for a large group charter, if you are planning to enjoy food and drinks onboard, we will also calculate a 40% APA. 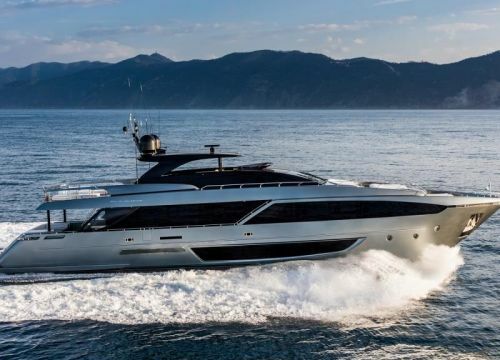 Another specific case is when some older yachts may have a very low charter fee, in this case – the APA being calculated on the charter fee -, we will need to increase the APA percentage. The same applies for open yachts that burn a lot of fuel. The most important thing to bear in mind is that there is no mark-up in the APA calculation so you pay everything at cost and you are more than welcome to check the receipts kept by the Captain onboard. At the end of your charter, the Captain will present you with the final statement of the APA. If you have advanced too much money, you will be reimbursed in full for the difference either in cash by the Captain or via bank transfer by your charter planner. If the APA is in debit i.e. the Captain is missing funds, you will be asked to pay for the difference in cash before disembarkation or, with the Captain’s authorisation only, to pay by bank transfer directly to your charter planner. What is covered by the APA? If you refer to the table and explanations above, you’ll have figured that the APA covers all expenses that are not included in the charter fee – just as you would pay for extras on top of booking your room in a hotel. All of these expenses are clearly outlined in the MYBA charter agreement and your charter planner will give you all the details before booking. Here are the most important ones. Depending on how much the yacht sails and at what speed, fuel expenses can be more or less significant. Sitting at anchor will also require fuel to power the generators while shore-based electricity, when berthed in a marina, is also a supplement (see below). Remember that fuel is also charged for tender operations and motorized water toys. Prior to your French Riviera yacht charter, your charter planner will provide you with a preference list so you can indicate what you would like to have onboard in terms of food and drinks. Food & Drinks is one of the biggest extra cost and can vary considerably from one charter to the other. If you plan to dine on champagne, caviar and lobster every day, you can assume that your final bill will be higher than the Charterer asking for classic Mediterranean cuisine with modest wine. Dockage fees can vary significantly from one place to another. A front-row dock in Saint-Tropez will be exorbitant in peak season while a standard berth will cost very little in different French Riviera areas. The crew gratuity is another additional expense to consider when booking a yacht charter. The standard charter fee never includes the gratuity. If you’ve enjoyed the service of your crew and would like to extend a gratuity, you can either deduce the tip from the balance of the APA or - if there is little or no APA left - give an envelope to the Captain before disembarking from the vessel. The gratuity is left at the Charterer’s discretion but usually represents between 5 and 15% of the charter fee. The list of extra expenses may seem daunting but there are many ways to reduce the final bill of your south of France yacht rental. 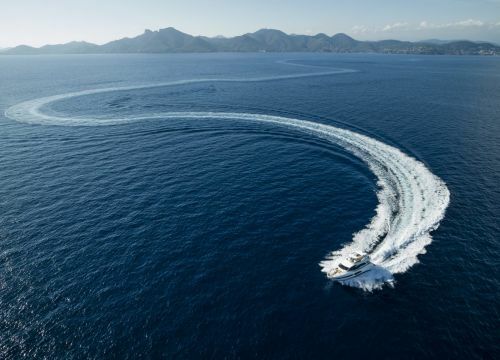 When receiving the different options for your French Riviera yacht charter vacation, pay attention to fuel consumption as well as cruising speed. A high-speed sporty yacht will have the advantage of covering a lot of ground fast – but consuming a lot of fuel – while a sailing yacht will slash the fuel bills – but limit the cruising. Depending on your preferred itinerary, ask your charter planner for advice. If you’re planning to charter a yacht on the French Riviera the months of May, June, September and October are particularly interesting in terms of cost. Charter fees usually drop and it is easier to negotiate a good deal. As regards to the weather, June and September are particularly lovely. Temperatures in May and October are more fluctuant but the weather is usually great. Berthing fees in French Riviera ports can get pretty expensive in the summer. To reduce the cost of your French Riviera yacht charter, the yacht can stay at anchor overnight. There are fabulous anchorages along the French Riviera from Saint-Tropez to Saint-Jean-Cap-Ferrat. Your charter planner can also recommend lesser-known ports that charge lower rates. Bear in mind that spending the night at anchor is only possible on larger vessels, weather permitting and with the Captain’s approval. Prior to your French Riviera yacht charter, your charter planner will send you a preference questionnaire. Its aim is to help the crew provision the yacht in advance as well as help the Chef to prepare the menus. If you leave it to last minute, your crew will most likely use the service of a yacht provisioning company. On the contrary, if the crew has the information in advance, the crew will have enough time to provision at classic shops and thus slash any intermediary cost. Our charter planners are on hand to assist with your next French Rivera yacht rental. Don’t hesitate to get in touch with Talamare for more information about chartering a yacht in the south of France or to start planning your next charter vacation. Our charter planners will recommend the yacht and crew that match with your budget and requirements.